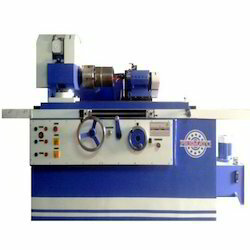 Offering you a complete choice of products which include hydraulic face grinding machine. Face feed resolution 0.002 mm by fine feed device. We are offering Hydraulic Face Grinding Machine to our clients. Imported P4 grade matched pair bearings of two pairs. Separate hydraulic power pack unit housed outside the machine for easy maintenance. All electricals mounted in a separate panel box. Centralised controls for operator’s convenience.